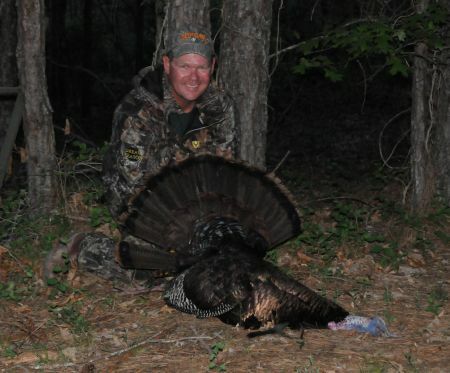 My big passion is to hunt for whitetails in the fall and turkeys in the spring. When I get time i like to shoot dove, quail and pheasant as well. In the fall and winter months of love to striper fish, and crappie fish. Spring i love to go to the coast to fish for big flouder with family and friends. Also enjoy fishing for drum,spec trout and all kinds of offshore fishing. 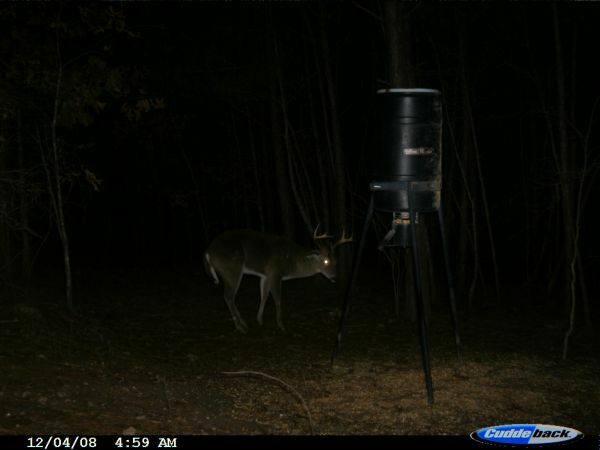 Guys went to check my Trail cam today to get surprise that a buck i had in 08' came back for a visit. This just goes to show you that you never know. Man i was thrilled to say the least. Well I have to say I have been back for a week now and still dont think I have fully recovered? So to start out I flew into Kansas the Sunday before last. 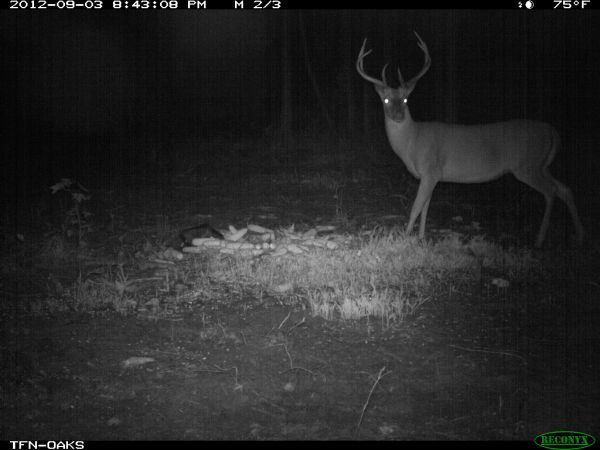 The first night in I got settle in and about 630 deer started to head out to the green fields. 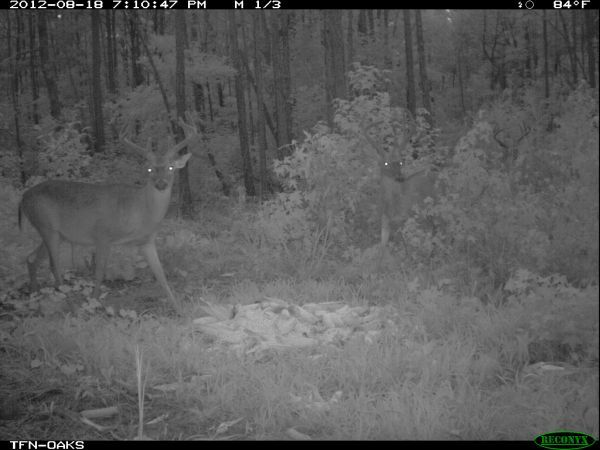 About 715PM I notice some hard horns to my left. I noticed a 6x5 with very long main beams walking toward me. I immediately pulled up the binoculars and passed on a great buck. I have to say it was a hard decision but still feel like I made the right call. 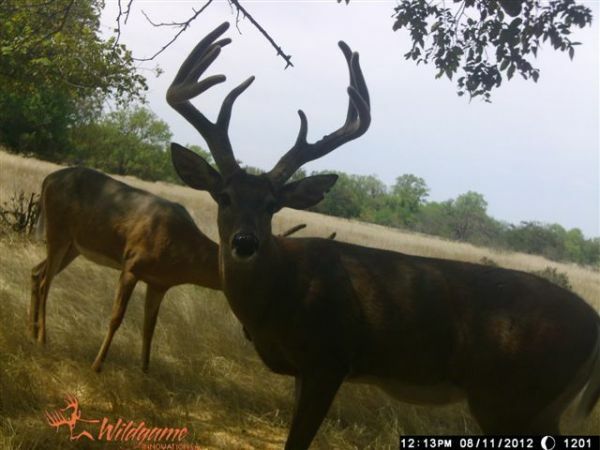 This buck appeared to be a 3 year old 150 class. 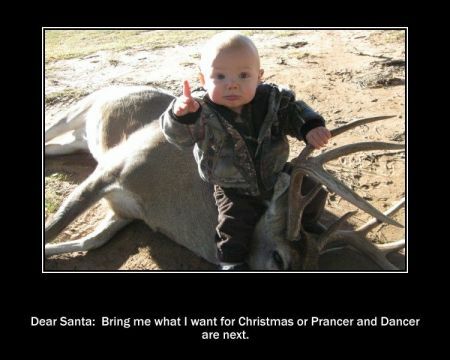 So to me that buck would be 170-180 if he made it another year.
. So on Wednesday I wanted to hunt this large alfalfa field. The guide told me CREEK I have no shooters in this field because he had a trail camera set up in that field. I was extremely confident anyway. SO that afternoon the wind was like soooo windy in fact it was like 30MPH winds. Anyway it was just one of those chap-stick days. LOL. 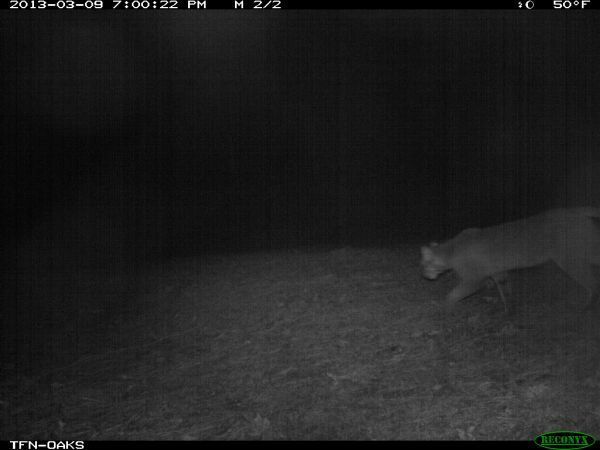 About 7PM I notice some movement out the corner of my eye and notice a LARGE BUCK coming into the field. Again it wasnt like when I saw that 6x5 because I wasnt like no maybe one more year. When I saw this buck coming I was like SONNN a big shooter. my heart was beating like i was on the verge of a stroke. LOL I was trying to calm my nerves a little before I committed. So I was going to glass to make sure what I was shooting at one more time. I counted 5 on the left and 5 on the right with one split G2. So I text the guide to let him know I was about to lay the hammer down. He was glassing on the north of the field and could not pick out the buck until I told him. 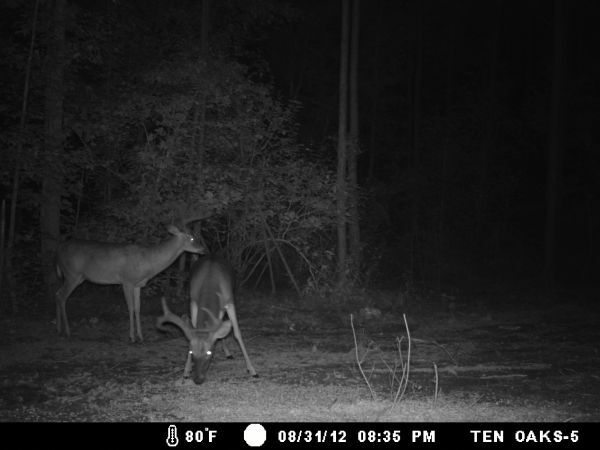 Well I was still trying to get settle in for a shot then for some reason the buck was getting wind scared it look like. so I knew I needed to seal the deal now. I set up on my sticks then release my TC at 80 yds. When the gun went off I thought I mis-fired because I didnt see any smoke. The guide text me to say you got him saw the shoulder drop. I was so worried my gun didnt fire. So I pulled the breech to see my powder was gone. I dont think i have every been that work up. Then I text the guide one more time to say I think we should wait a few minutes and he said no we have to get him now because rain Is coming. When we walk in where I saw him last we found blood and a lot of it. SON I was like a kid at the candy store. After about an hour of tracking the guide wanted to pull out. Well that was a long night for me least to say but still not to worry with the amount of blood that we had found. The next day there was rain so we lost the blood trail. The next three days I looked by myself. I walked through so much weeds and CRP I had blisters on my feet. Anyway to say the least this was the first unrecovered muzzle loader shot that the guide has never found. We all knew it was great blood so I am not sure. I still think WE could have jumped him walking in and should have waited because most of the blood was right where i shot. He Probably ran a Kansas mile. If I had to guess what he was I will say every bit of a 170 plus. 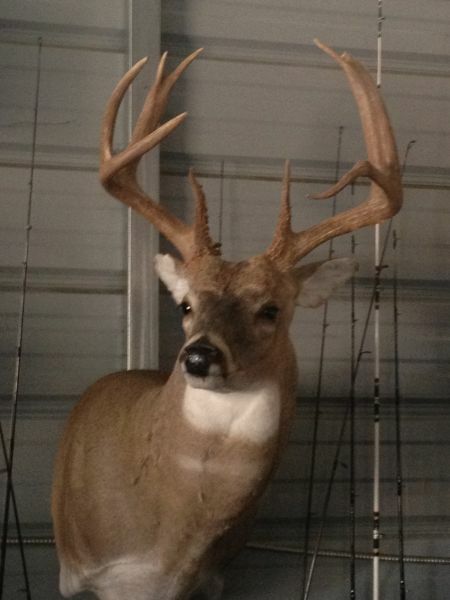 I have a 160 on my wall and he was way bigger. His bases looked like coke cans. STILL waiting on my phone to ring to say we found him. I know we can only recover the horns at this point but that would be just fine for me. Can spring get here soon! I know it is deer season but wanted to share a pic with you guys. 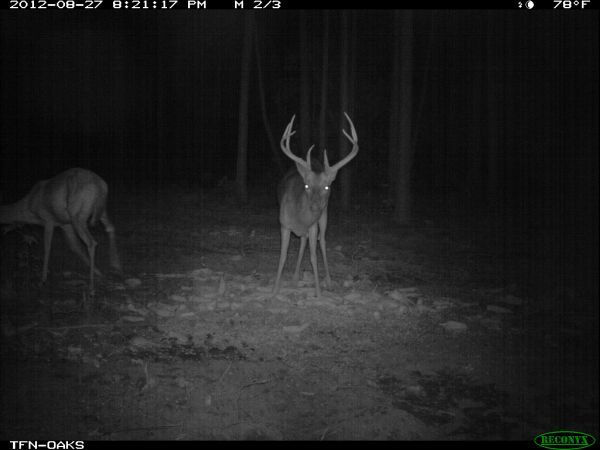 Buck is already out of velvet in Anson County. Waiting on me. 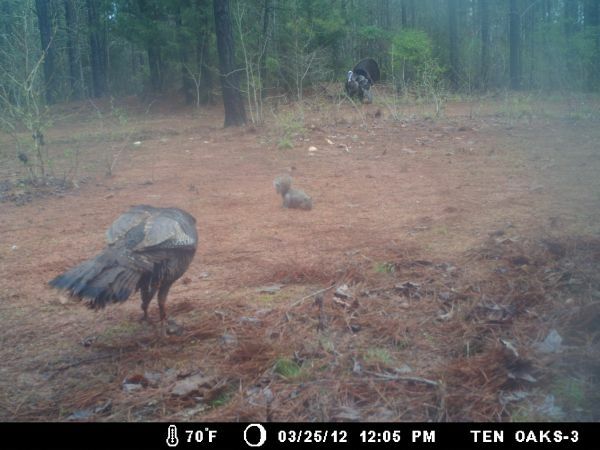 Has anyone tried the new moultrie BLX? (Black Flash) It appears they are trying to copy the Recoynx for half the cost. 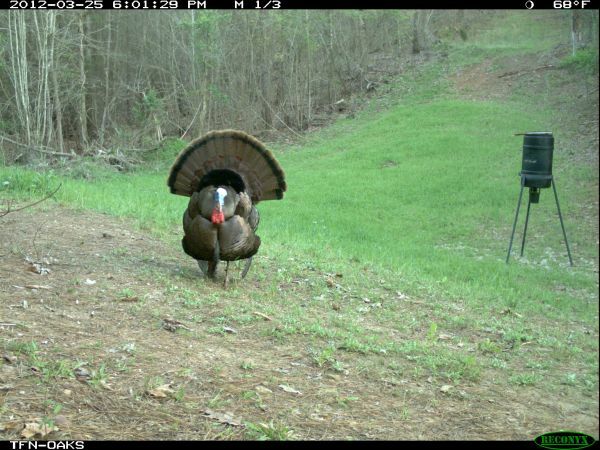 This afternoon I got a call from a friend asking if we could break free this afternoon for little turkey hunting. I have to say I played a little hooky.. I got settle in around 345. About 15 minutes later I stated calling. Soon after that I heard a gobble. It was close but not that close. Time was going on and I saw a Jake that came out to give me a classic dust bowl bath. That was cool to see. The funny thing is he didnt pay to much attention to my avians. It was getting later so I started calling light. Nothing was going on however I knew I heard that gobble earlier so I knew that joker could be close. Well I knew I needed to get going a little early because of work so I begin to put some of calls away to pack for the truck. Then out of NO WHERE this cowboy comes in like Dale Earnhardt ran at Talladega. I was shaking like leaf I tell you. He started strutting around my avian Jake immediately. He was so close to my avian I was little nervous that I was going to shot my decoy. I have say when I laid down the hammer when I walk over to my decoy to check to make sure I didnt puncture it. ( he was so close there was blood on my Avian) Well then I went to see the Bird that had me all tore up. When I arrived at my harvest I was shock to see I killed a Cowboy. I can not believe it. I have to say that was the first time I used my avian jake and it was ON. 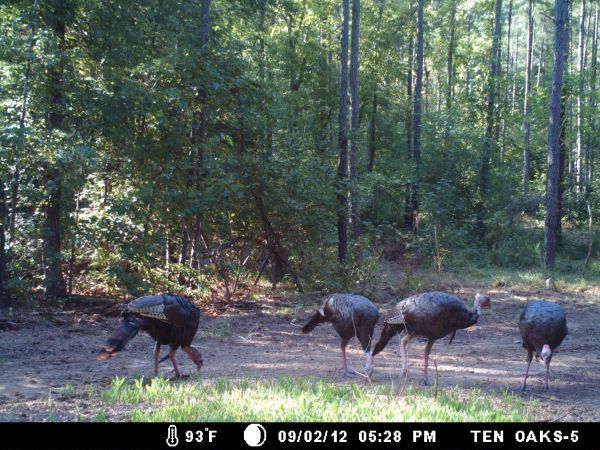 A few more long beards. Heading this weekend to hunt with my daughter. Hopefully work want get in the way. Finally Got the chance to check my cards. Well i finally got my mount home. He looks so good. Life is good. Dang DCB those are some fine birds there buddy. Hope you get a to take a shot at one those big brushes. That looks nice Dianne. I am sure it was nice out there today. I am sure they will show up soon for you. That looks good D. Making my belly growl looking at it. YEs you are correct GT that is the spot. WE all need to get togther soon. Looking good for now. As we all know most of these birds will split up very SOON. Congrats limb-Hanger. Those r some good ones. 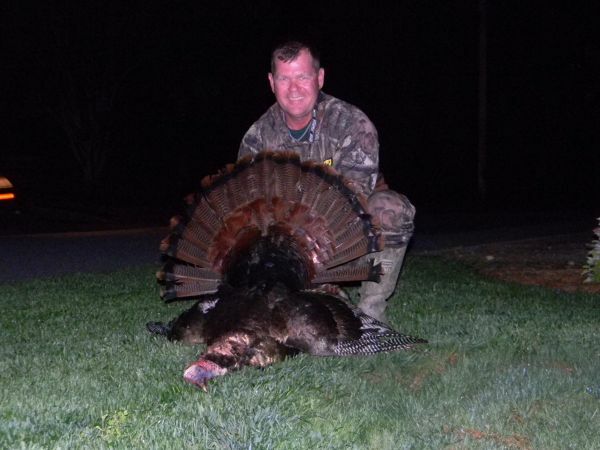 A comment titled: Wow in response to a report titled: North Carolina Sportsman 2012 Turkey Season Flashback!!! Dianne I don't know about you but I am sure ready for the spring. I have seen more birds in anson than I ever have. 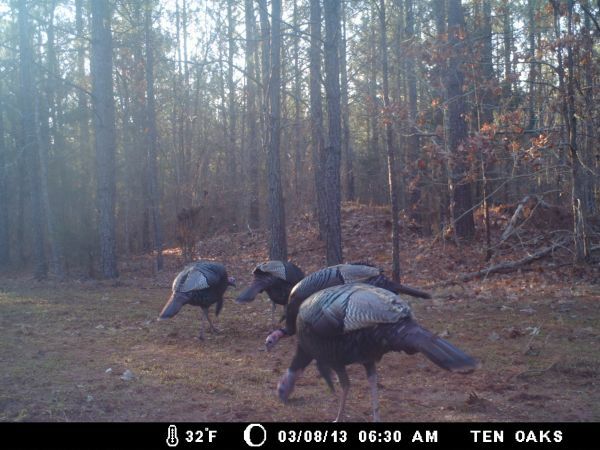 Must be the food plots this year. CONGRATS. 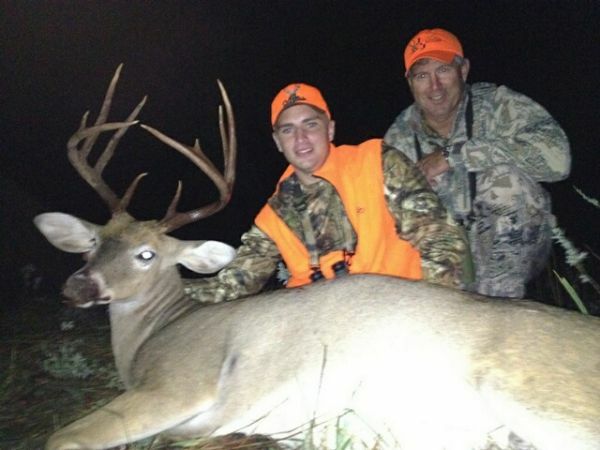 that looks like a heavy mass buck. Congrats Justin. MAn I have has a similar season myself but just grateful that I am able to hunt. A lot of opportunities just haven't lined up for me but that is okay because that' is why it is called HUNTING. I own and operate Superior Landscape Services in Kannapolis NC.Enjoys spending time with his daughter and wife. Staying involved with my local Church. I thrive on teaching the young hunters and friends basic knowledge as for getting involved in the outdoors, whether it is fishing or hunting.